AGOG has consented over 1000 patients with accompanying tumour donation, blood/saliva, clinical data and survey making the database a unique and rich resource for glioma research. Clinical data on participants, including specific details about surgery, pathology and treatment. Biological samples (blood sera; blood plasma; blood/saliva DNA; blood/saliva RNA; frozen fresh tumour; and RNA and DNA extracted from tumour of participants). Data derived from biological sample analyses. An access fee is applicable and based on partial-cost recovery for the programming and other costs associated with the planning, extraction and provision of data and samples. 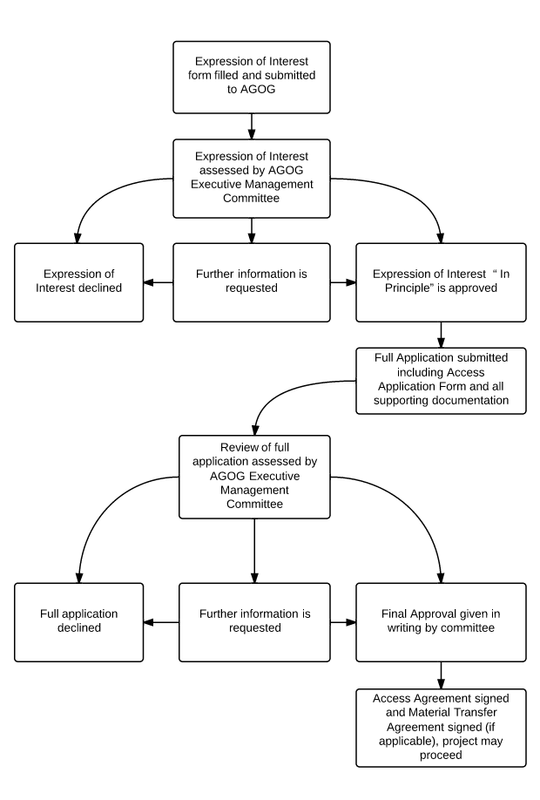 Please refer to our application process below for details involved in accessing our database and also our AGOG data and biospecimen Access Policy regarding terms and conditions applicable.